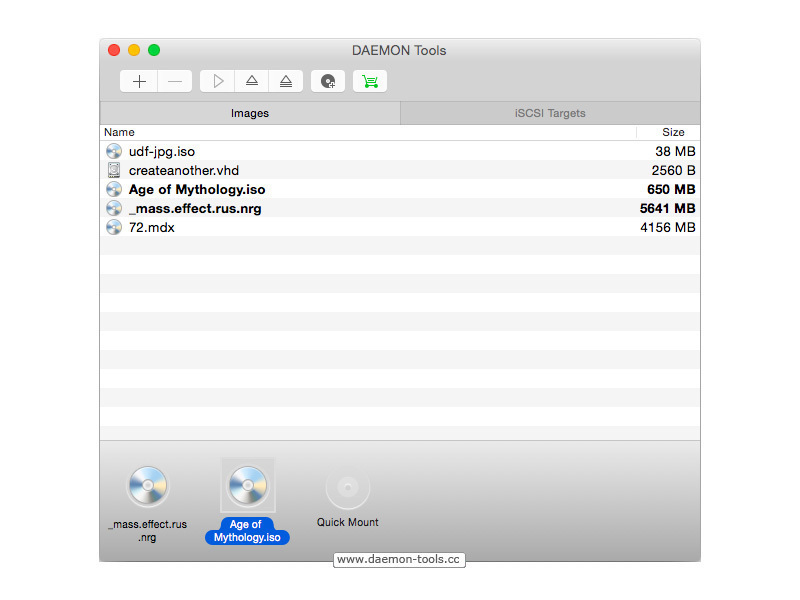 DAEMON Tools is a solution for mounting and creating CD/DVD/HDD disc images. Mount images in the following supported formats: *.b5t, *.b6t, *.bwt, *.ccd, *.cdi, *.bin/*.cue, *.ape/*.cue, *.flac/*.cue, *.iso, *.isz, *.mds/*.mdf, *.mdx, *.nrg, *.pdi, *.dmg, *.vhd, *.tc, *.zip. Next story PDF Squeezer 3.9.1 – Simple-to-use PDF compression tool. Previous story Butler 4.2.2 – Hot key, menu, and keyword launcher. Syncovery 7.46 – Back-up and synchronize your Mac.